"Aloha Personal Checks" product is already in your cart. Take a trip to the islands of Hawaii with these cheerful Hawaiian Hello Checks that say Aloha to everyone in a festive way. 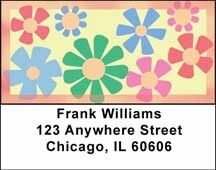 With their zesty floral designs in four different color schemes – Sage Green and Orange, Gold and Bronze, Aqua and Peach or Pink and Yellow – these personal checks will add pizzazz to any occasion and make writing checks a fun filled event! Like the beautiful foliage to be found in the tropics you can enjoy a vacation every day with the Hawaiian Hello Checks and never have to leave your home! But wouldn’t it be fun to write a check that will give you the Aloha spirit all the time?